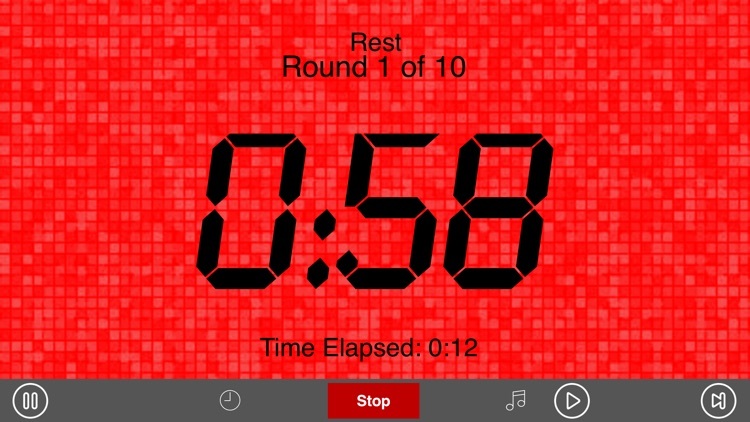 "I've been using the Round Timer app on my iPhone for about as long as I've had my Iphone... If you're someone that's training for rounds, doing circuit work, etc. this app is worth your 99 cents. With the level of customization you get, the app is competitive with the way more expensive round timer devices that can cost upwards of $10-100." 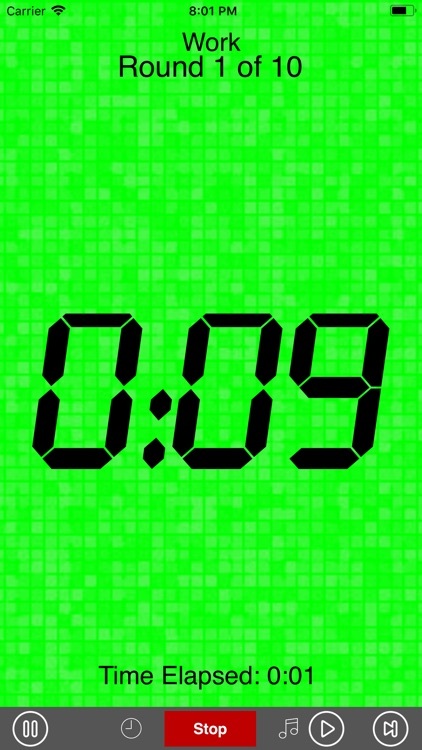 "I found a GREAT interval timer app in the iTunes store for 99 cents!!! 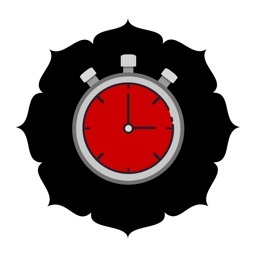 It's called Round Timer and it works like a dream!!!" "Its a really useful applications. 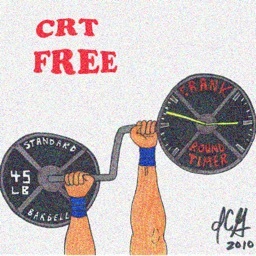 Beats carrying around that big round timer from the old days." 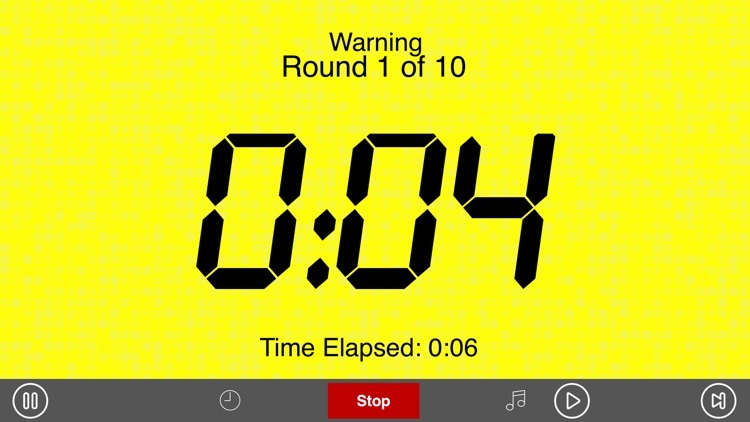 The Round Timer was the first round/sparring/boxing timer available in the AppStore and, as a result, the most refined and stable. Don't be fooled by knock-offs (other developers copying our interface and layout). 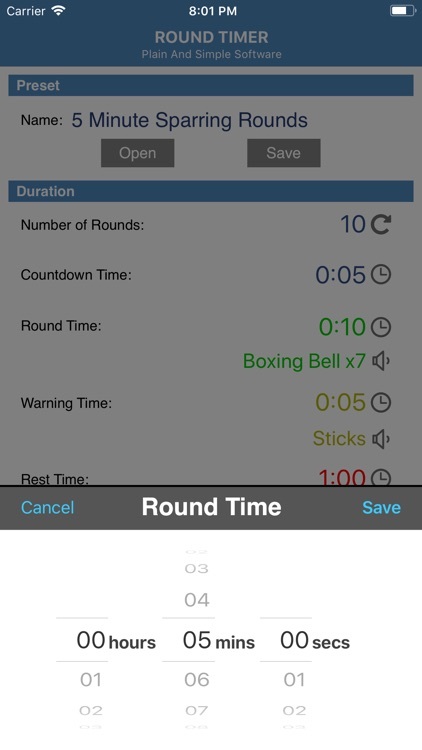 The Round Timer is a convenient round/boxing/sparring timer for your iPhone/iPod touch, now compatible with iOS 8. 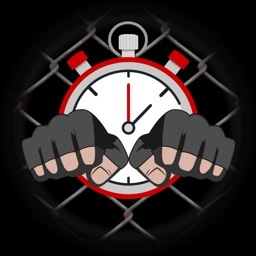 The Round Timer is a fully functional round/sparring timer that allows you to customize the length of the rounds, warning bell and resting period. Each of these intervals can be configured separately up to an hour. It will run in the background even if you switch to another App. 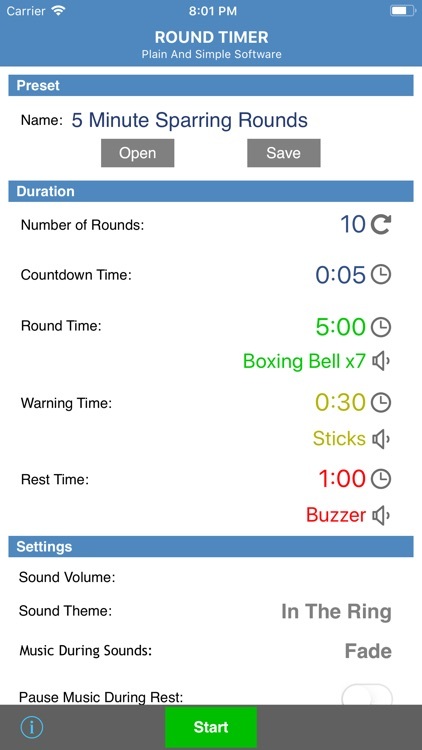 With the sound themes, you can choose which alarm sounds to use: boxing/MMA, a relaxing Zen theme, and a few others. Don't like any of the dozens of preinstalled sounds? Don't worry! You can record your own sounds. Working out to music is not a problem. 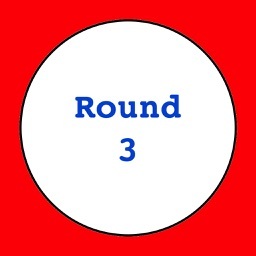 Start your music playing in the iPod app, then start RoundTimer. The sounds will play over top of your music without interrupting it. Please feel free to e-mail [email protected] to suggest new sound themes! Interested in interval training (Tabata, symmetrical, etc... intervals)? 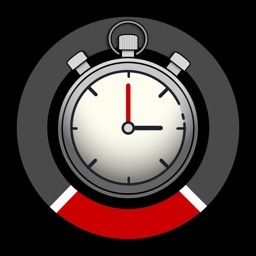 Check out our "IntervalTimer". Want more control? 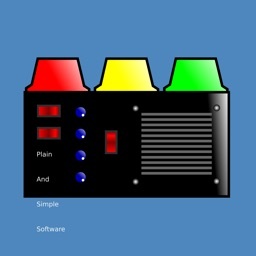 Check out "UltraTimer". Want full programmability and randomized intervals? Look at "UltraTrainer".